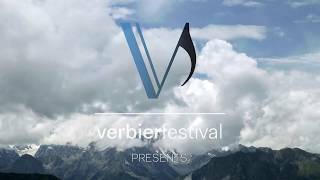 The Verbier Festival Chamber Orchestra (VFCO) is the resident chamber orchestra of the Festival. It is composed of alumni of the Festival’s artist training programmes and who now hold positions in leading symphony orchestras. The extensive list of orchestras is impressive, and includes the Vienna Philharmonic, Berlin Philharmonic, Israel Philharmonic, Metropolitan Opera Orchestra, Royal Concertgebouw Orchestra, Zurich Tonhalle Orchestra, and the London Symphony Orchestra. The VFCO is led by its charismatic Music Director, Gábor Takács-Nagy and other eminent guest conductors during the Verbier Festival. Appointed Music Director of the Verbier Festival Chamber Orchestra in 2007, Hungarian conductor Gábor Takács-Nagy regularly conducts and tours with the Orchestra alongside renowned soloists including Martha Argerich, Frederica von Stade, David Garrett and Daniil Trifonov. Born in Budapest, he studied at the Franz Liszt Academy, then with the great violinists Nathan Milstein, Ferenc Rados, András Mihaly, Zoltán Székely, Sándor Végh and György Kurtag. A founding member and principal violin (1975 to 1992) of the Takács Quartet, he performed with Sir Yehudi Menuhin, Isaac Stern, Mstislav Rostropovitch, András Schiff, Mikhail Pletnev, Joshua Bell and Gidon Kremer. He founded the Takács Piano Trio in 1996 and the Mikrokosmos Quartet in 1998 (Excellencia Prize for the complete cycle of Bartók’s quartets). Since 2002 he has devoted himself entirely to orchestral conducting, founding the Camerata Bellerive. In 2011 he was appointed Music Director of the Manchester Camerata and, in 2012, Principal Guest Conductor of the Budapest Festival Orchestra. He became Principal Artistic Partner of the Irish Chamber Orchestra in 2013. He coaches string quartets at the Haute Ecole de Musique, Geneva, and is an Honorary Member of the Royal Academy of Music (2012) and Artistic Director of the Verbier Festival Academy chamber music programme. The Verbier Festival Chamber Orchestra (VFCO) was created in 2005. One of the orchestra’s first projects was to perform and record Mozart’s Violin Concertos with soloist/conductor Maxim Vengerov. A tour of 22 concerts through Canada, USA and Europe followed in 2006. In early spring 2013, the VFCO toured China with the 8 Seasons of Piazzolla and Vivaldi led by Kirill Troussov. A tour through Asia with Gábor Takács-Nagy and soloists Martin Fröst and Joshua Bell followed. 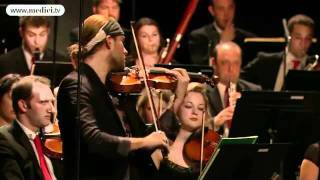 In May 2014, the orchestra toured with David Garrett through Switzerland, Germany and Austria. Two years later, the orchestra gave a four-concert tour of Switzerland with Joshua Bell as director/soloist, performing in Zurich, Geneva, Bern and La Chaux-de-Fonds. To launch the Verbier Festival’s 25th anniversary celebrations, the VFCO, led by its Music Director Gábor Takács-Nagy, toured China in early 2018—with a stop in Dubai—joined by pianist George Li and cellist Gautier Capuçon.